ATC have been involved in professional and later domestic loudspeakers for nigh on 50 years. Based locally near Stroud, they set up to make drive units in 1974. They were instantly successful as their 12” drive unit (PA75-314) were able to produce sound with less distortion at higher sound pressure levels than the competition. Two years later they started to produce their very special soft dome mid-range unit which was used by many third party professional monitor manufacturers. A decade later they started making complete speaker systems, which are used widely in the professional world by engineers producers composers and artist including Pink Floyd, Kate Bush, The Killers, Lenny Kravitz, The Rolling Stones, Calvin Harris, Beck. The list goes on and is pretty much a who’s who of music industry icons. So why would you consider an ATC speaker? Well ATC seem to have found the right balance between what is required by the professional world, such as accuracy and reliability, and what is required from a domestic speaker which is totally beguiling sound. When listening, you can immediately get why they are so popular with musicians and engineers as the detail especially in the mids is extraordinary. The ATC SCM7 is the smallest of the range. Small it may be but pick one up and you might raise an eyebrow as each weighs 7.5kg. Listening to them you will hear that they are very agile. 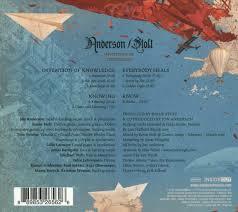 They keep pace with the music really well, never tripping up and allowing, exactly what we want, musical engagement. The bass, whilst not going deep, is very accurately reproduced with no overhang whatsoever. The next speaker in the range is the SCM11. It’s a bigger monitor than the SCM7 incorporating a 150mm bass/mid rather than 125mm of the SCM7. It is also heavier at almost 11kg. It pretty much performs the same as the SCM7 except that the scale of the music you are listening to gets larger. They will also go louder than the SCM7 (108db rather than 103db). Up next comes the SCM19. It is the biggest stand mount in the range and weighs a hefty 17.5kg, 9kg of that comes from the bass/mid which features a short-coil/long gap motor assembly and integrated 75mm soft dome mid. The SCM19 is the only speaker in the entry range to have ATC’s coveted SL driver technology. SL stands for Super linear and drive units built to the SL standard reduces 3rd harmonic distortion between 10 and 15db. The results are obvious as the midrange gains extra clarity giving even more insight into the music. This is the first speaker in ATC’s range of speakers where they offer a passive and active version. The active version becomes a floor stander with active filters and a class a/b 182 watt bi-amplifier and retails at £4990. Just add a pre-amp and away you go. The final speaker in the entry range is the SCM40. It is the first passive floor stander in ATC’s range and just like the 19 is also is available as an active speaker. It is the only speaker in this range that has a dedicated soft dome mid. The hype about ATC’s mid range unit is completely justified and is evident as soon as you listen. The mid range clarity is astounding and leaves you in no doubt about the quality of ATC speakers. We have tried all the ATC speakers with many amplifiers. As long as it is quality amplification you won’t have any issues, but as we always recommend try before you buy, so come on in and have a listen. In store now but please call us to book a demo as they are in high demand. We are very pleased to have added ATC loudspeakers to our range as they are extremely good and complement our existing equipment perfectly. The Entry Series comprise six models and we have chosen to begin with the four passive loudspeakers. All Entry Series loudspeakers use the New ATC designed and built 25mm soft dome HF unit with precision alloy wave guide. A sophisticated and beguiling high frequency driver whilst being revealing too. There are three stand mount models, SCM7, SCM11 and SCM19 and a three way floor stander SCM40, all offering refinement and energy and a rather more interesting shape than is usual. Well worth coming along and having a listen to. Available in Cherry, Black or White finishes. 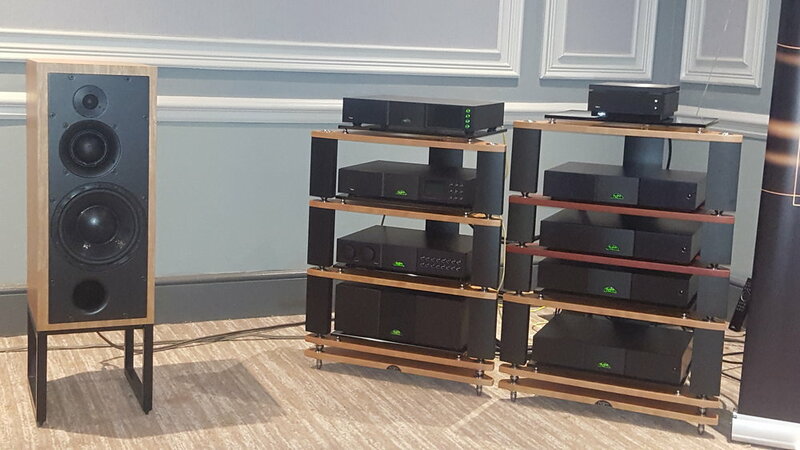 For our Naim ND555 roadshow we chose to use the ATC SCM50 from the Classic Series and they were extremely well received. Part of a pretty serious Naim 500 Series Hi-Fi system that performed admirably. 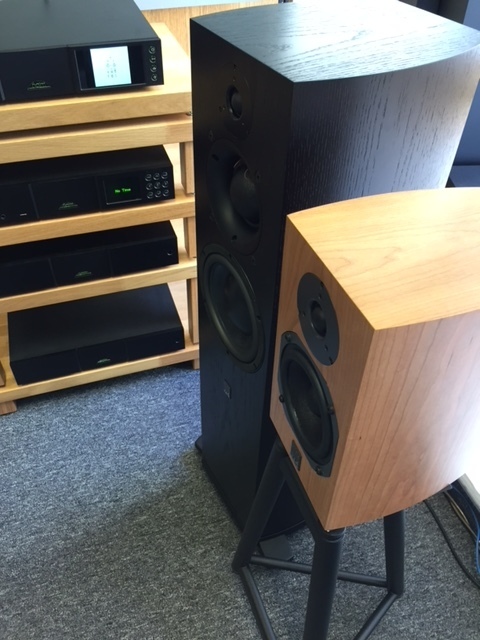 Call 01273 609431 or email brighton@audio-t.co.uk and come and have a listen. This is a bit of a break from the normal specific product related blog as we're not blogging on one particular Hi-Fi topic! This time around the intention is to keep you up to date with a number of things that are new or about to happen. We are very excited to have the opportunity (alongside our Bristol store) to host one of the Naim summer roadshows to launch the amazing new ND555 Network Player/Streamer. Tickets are available to book from the We Got Tickets website and they are FREE!! A not to be missed opportunity to hear what is being hailed as the best streamer in the world being put through it's paces by the guys from Naim in person! If you have any Naim type questions of your own this will be the place to be! The event takes place at the Gables Hotel in Falfield on Thursday 6th of September at 7:00 pm which is just off Junction 14 on the M5.......it's got to be a fun evening!! I will not add any more except to advise you to read the previous two blogs from the Brighton and Oxford stores for lots of in depth stuff to whet your appetite. 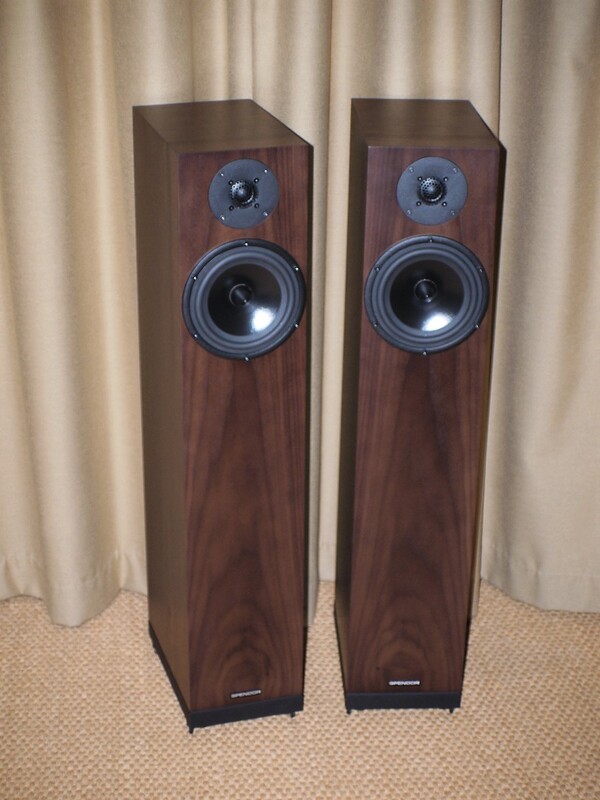 We now have the rather lovely Spendor A7 floorstanding loudspeakers in store and available for demonstration. We think they are the best thing Spendor have made for a while and that's really saying something! 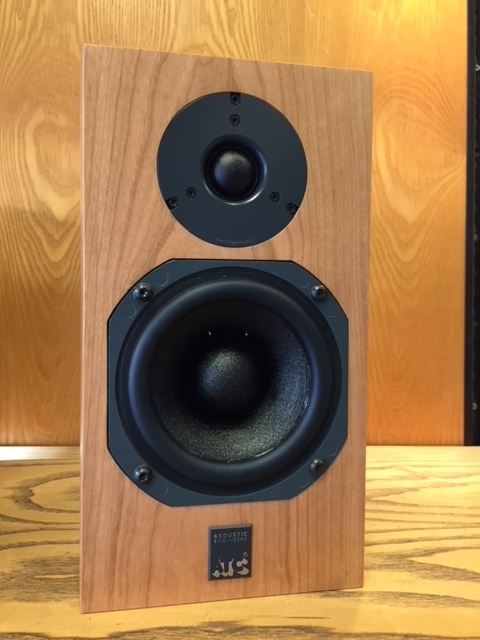 We are rather proud to announce that we now have ATC loudspeakers in store! We have totally redecorated our AV demo room and given the shop a fresh coat of paint. Our AV demo room now has a 9ft fixed frame screen and an Optoma UHD65 4K projector looking rather lovely, in fact the best picture we have ever had in our dem room! Come and see!! There is always something playing and it always looks great and sounds even better!!! By now you'll probably have noticed that I like exclamation marks!!! One of those "you really must listen to this" moments. This is a fairly recent album by the Yes legend Jon Anderson and Flower Kings Guitar maestro Roine Stolte. It sounds more like Yes than Yes have done since the 1970's and I'm not making that up .......it's true!! This comes across as a companion piece to the work of genius that is Tales From Topographic Oceans and if that was ever your fave Yes LP then you will adore this one. It is called Invention Of Knowledge and does not have a dull second on it. If you thought Yes were no more then think again!! There go those exclamation marks again!!! Well that's it for this blog ....I'm off to play this on the new ATC SCM40 floorstanders to put them through their paces properly. You are always welcome to bring in some of your favourite music too and do the same .... you will be forever smitten! !